The interface between the Earth's surface and outer space. The Kármán line at an altitude of 100 km (62 mi) is shown. The layers of the atmosphere are drawn to scale, whereas objects within them, such as the International Space Station, are not. Outer space, or just space, is the expanse that exists beyond the Earth and between celestial bodies. 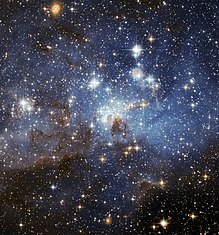 Outer space is not completely empty—it is a hard vacuum containing a low density of particles, predominantly a plasma of hydrogen and helium, as well as electromagnetic radiation, magnetic fields, neutrinos, dust, and cosmic rays. The baseline temperature, as set by the background radiation from the Big Bang, is 2.7 kelvins (−270.45 °C; −454.81 °F). The plasma between galaxies accounts for about half of the baryonic (ordinary) matter in the universe; it has a number density of less than one hydrogen atom per cubic metre and a temperature of millions of kelvins; local concentrations of this plasma have condensed into stars and galaxies. Studies indicate that 90% of the mass in most galaxies is in an unknown form, called dark matter, which interacts with other matter through gravitational but not electromagnetic forces. Observations suggest that the majority of the mass-energy in the observable universe is a poorly understood vacuum energy of space, which astronomers label dark energy. Intergalactic space takes up most of the volume of the universe, but even galaxies and star systems consist almost entirely of empty space. The concept of a Universe filled with a luminiferous aether retained support among some scientists until the early 20th century. This form of aether was viewed as the medium through which light could propagate. In 1887, the Michelson–Morley experiment tried to detect the Earth's motion through this medium by looking for changes in the speed of light depending on the direction of the planet's motion. However, the null result indicated something was wrong with the concept. The idea of the luminiferous aether was then abandoned. It was replaced by Albert Einstein's theory of special relativity, which holds that the speed of light in a vacuum is a fixed constant, independent of the observer's motion or frame of reference. The modern concept of outer space is based on the "Big Bang" cosmology, first proposed in 1931 by the Belgian physicist Georges Lemaître. This theory holds that the universe originated from a very dense form that has since undergone continuous expansion. The earliest known estimate of the temperature of outer space was by the Swiss physicist Charles É. Guillaume in 1896. Using the estimated radiation of the background stars, he concluded that space must be heated to a temperature of 5–6 K. British physicist Arthur Eddington made a similar calculation to derive a temperature of 3.18 K in 1926. German physicist Erich Regener used the total measured energy of cosmic rays to estimate an intergalactic temperature of 2.8 K in 1933. American physicists Ralph Alpher and Robert Herman predicted 5 K for the temperature of space in 1948, based on the gradual decrease in background energy following the then-new Big Bang theory. The modern measurement of the cosmic microwave background is about 2.7K. This is an artist's concept of the metric expansion of space, where a volume of the Universe is represented at each time interval by the circular sections. At left is depicted the rapid inflation from the initial state, followed thereafter by steady expansion to the present day, shown at right. 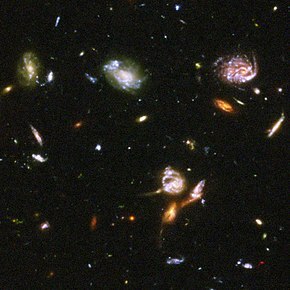 Part of the Hubble Ultra-Deep Field image showing a typical section of space containing galaxies interspersed by deep vacuum. Given the finite speed of light, this view covers the past 13 billion years of the history of outer space. Because of the hazards of a vacuum, astronauts must wear a pressurized space suit while off-Earth and outside their spacecraft. SpaceShipOne completed the first manned private spaceflight in 2004, reaching an altitude of 100.12 km (62.21 mi). The Outer Space Treaty provides the basic framework for international space law. It covers the legal use of outer space by nation states, and includes in its definition of outer space the Moon and other celestial bodies. The treaty states that outer space is free for all nation states to explore and is not subject to claims of national sovereignty. It also prohibits the deployment of nuclear weapons in outer space. The treaty was passed by the United Nations General Assembly in 1963 and signed in 1967 by the USSR, the United States of America and the United Kingdom. As of 2017, 105 state parties have either ratified or acceded to the treaty. An additional 25 states signed the treaty, without ratifying it. Since 1958, outer space has been the subject of multiple United Nations resolutions. Of these, more than 50 have been concerning the international co-operation in the peaceful uses of outer space and preventing an arms race in space. Four additional space law treaties have been negotiated and drafted by the UN's Committee on the Peaceful Uses of Outer Space. 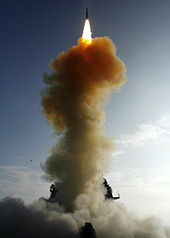 Still, there remains no legal prohibition against deploying conventional weapons in space, and anti-satellite weapons have been successfully tested by the US, USSR, China, and in 2019, India The 1979 Moon Treaty turned the jurisdiction of all heavenly bodies (including the orbits around such bodies) over to the international community. However, this treaty has not been ratified by any nation that currently practices manned spaceflight. Geospace is the region of outer space near Earth, including the upper atmosphere and magnetosphere. The Van Allen radiation belts lie within the geospace. The outer boundary of geospace is the magnetopause, which forms an interface between the Earth's magnetosphere and the solar wind. The inner boundary is the ionosphere. The variable space-weather conditions of geospace are affected by the behavior of the Sun and the solar wind; the subject of geospace is interlinked with heliophysics—the study of the Sun and its impact on the planets of the Solar System. The day-side magnetopause is compressed by solar-wind pressure—the subsolar distance from the center of the Earth is typically 10 Earth radii. On the night side, the solar wind stretches the magnetosphere to form a magnetotail that sometimes extends out to more than 100–200 Earth radii. For roughly four days of each month, the lunar surface is shielded from the solar wind as the Moon passes through the magnetotail. Interplanetary space is defined by the solar wind, a continuous stream of charged particles emanating from the Sun that creates a very tenuous atmosphere (the heliosphere) for billions of kilometers into space. This wind has a particle density of 5–10 protons/cm3 and is moving at a velocity of 350–400 km/s (780,000–890,000 mph). Interplanetary space extends out to the heliopause where the influence of the galactic environment starts to dominate over the magnetic field and particle flux from the Sun. The distance and strength of the heliopause varies depending on the activity level of the solar wind. The heliopause in turn deflects away low-energy galactic cosmic rays, with this modulation effect peaking during solar maximum. The deep vacuum of space could make it an attractive environment for certain industrial processes, such as those requiring ultraclean surfaces. However, like asteroid mining, space manufacturing requires significant investment with little prospect of immediate return. An important factor in the total expense is the high cost of placing mass into Earth orbit: $7,000–25,000 per kg in inflation-adjusted dollars, according to a 2006 estimate. Proposed concepts for addressing this issue include non-rocket spacelaunch, momentum exchange tethers, and space elevators. ^ Chuss, David T. (June 26, 2008), Cosmic Background Explorer, NASA Goddard Space Flight Center, archived from the original on May 9, 2013, retrieved 2013-04-27. ^ a b Gupta, Anjali; Galeazzi, M.; Ursino, E. (May 2010), "Detection and Characterization of the Warm-Hot Intergalactic Medium", Bulletin of the American Astronomical Society, 41: 908, Bibcode:2010AAS...21631808G. ^ Freedman & Kaufmann 2005, pp. 573, 599–601. ^ Trimble, V. (1987), "Existence and nature of dark matter in the universe", Annual Review of Astronomy and Astrophysics, 25: 425–472, Bibcode:1987ARA&A..25..425T, doi:10.1146/annurev.aa.25.090187.002233. ^ "Dark Energy, Dark Matter", NASA Science, archived from the original on June 2, 2013, retrieved May 31, 2013, It turns out that roughly 68% of the Universe is dark energy. Dark matter makes up about 27%. ^ Freedman & Kaufmann 2005, pp. 650–653. ^ a b O'Leary 2009, p. 84. ^ a b "Where does space begin? – Aerospace Engineering, Aviation News, Salary, Jobs and Museums". Aerospace Engineering, Aviation News, Salary, Jobs and Museums. Archived from the original on 2015-11-17. Retrieved 2015-11-10. ^ Grant 1981, p. 10. ^ Porter, Park & Daston 2006, p. 27. ^ Eckert 2006, p. 5. ^ Needham & Ronan 1985, pp. 82–87. ^ Holton & Brush 2001, pp. 267–268. ^ Cajori 1917, pp. 64–66. ^ Genz 2001, pp. 127–128. ^ Tassoul & Tassoul 2004, p. 22. ^ Gatti 2002, pp. 99–104. ^ Kelly 1965, pp. 97–107. ^ Olenick, Apostol & Goodstein 1986, p. 356. ^ Hariharan 2003, p. 2. ^ Olenick, Apostol & Goodstein 1986, pp. 357–365. ^ Thagard 1992, pp. 206–209. ^ Maor 1991, p. 195. ^ Webb 1999, pp. 71–73. ^ Curtis, Heber D. (January 1988), "Novae in Spiral Nebulae and the Island Universe Theory", Publications of the Astronomical Society of the Pacific, 100: 6–7, Bibcode:1988PASP..100....6C, doi:10.1086/132128. ^ Cepheid Variable Stars & Distance Determination, CSIRO Australia, October 25, 2004, archived from the original on August 30, 2011, retrieved 2011-09-12. ^ Tyson & Goldsmith 2004, pp. 114–115. ^ Lemaître, G. (May 1931), "The Beginning of the World from the Point of View of Quantum Theory", Nature, 127 (3210): 706, Bibcode:1931Natur.127..706L, doi:10.1038/127706b0. ^ a b Assis, A. K. T.; Paulo, São; Neves, M. C. D. (July 1995), "History of the 2.7 K Temperature Prior to Penzias and Wilson", Apeiron, 2 (3): 79–87. ^ Stuart Wortley 1841, p. 410. ^ Von Humboldt 1845, p. 39. ^ Harper, Douglas, "Outer", Online Etymology Dictionary, archived from the original on 2010-03-12, retrieved 2008-03-24. ^ Harper, Douglas (November 2001), Space, The Online Etymology Dictionary, archived from the original on 2009-02-24, retrieved 2009-06-19. ^ Planck Collaboration (2014), "Planck 2013 results. I. Overview of products and scientific results", Astronomy & Astrophysics, 571: 1, arXiv:1303.5062, Bibcode:2014A&A...571A...1P, doi:10.1051/0004-6361/201321529. ^ a b Turner, Michael S. (September 2009), "Origin of the Universe", Scientific American, 301 (3): 36–43, Bibcode:2009SciAm.301c..36T, doi:10.1038/scientificamerican0909-36, PMID 19708526. ^ Silk 2000, pp. 105–308. ^ WMAP – Shape of the universe, NASA, December 21, 2012, archived from the original on June 1, 2012, retrieved June 4, 2013. ^ Sparke & Gallagher 2007, pp. 329–330. ^ Wollack, Edward J. (June 24, 2011), What is the Universe Made Of?, NASA, archived from the original on July 26, 2016, retrieved 2011-10-14. ^ Krumm, N.; Brosch, N. (October 1984), "Neutral hydrogen in cosmic voids", Astronomical Journal, 89: 1461–1463, Bibcode:1984AJ.....89.1461K, doi:10.1086/113647. ^ Peebles, P.; Ratra, B. (2003). "The cosmological constant and dark energy". Reviews of Modern Physics. 75 (2): 559–606. arXiv:astro-ph/0207347. Bibcode:2003RvMP...75..559P. doi:10.1103/RevModPhys.75.559. ^ Tadokoro, M. (1968), "A Study of the Local Group by Use of the Virial Theorem", Publications of the Astronomical Society of Japan, 20: 230, Bibcode:1968PASJ...20..230T. This source estimates a density of 7 × 10−29 g/cm3 for the Local Group. An atomic mass unit is 1.66 × 10−24 g, for roughly 40 atoms per cubic meter. ^ Borowitz & Beiser 1971. ^ Tyson, Patrick (January 2012), The Kinetic Atmosphere: Molecular Numbers (PDF), archived from the original (PDF) on 16 March 2014, retrieved 13 September 2013. ^ Davies 1977, p. 93. ^ Fitzpatrick, E. L. (May 2004), "Interstellar Extinction in the Milky Way Galaxy", in Witt, Adolf N.; Clayton, Geoffrey C.; Draine, Bruce T., Astrophysics of Dust, ASP Conference Series, 309, p. 33, arXiv:astro-ph/0401344, Bibcode:2004ASPC..309...33F. ^ Chamberlain 1978, p. 2. ^ Squire, Tom (September 27, 2000), "U.S. Standard Atmosphere, 1976", Thermal Protection Systems Expert and Material Properties Database, NASA, archived from the original on October 15, 2011, retrieved 2011-10-23. ^ Forbes, Jeffrey M. (2007), "Dynamics of the thermosphere" (PDF), Journal of the Meteorological Society of Japan, Series II, 85B: 193–213, doi:10.2151/jmsj.85b.193, archived from the original (PDF) on 2012-04-15, retrieved 2012-03-25. ^ a b Prialnik 2000, pp. 195–196. 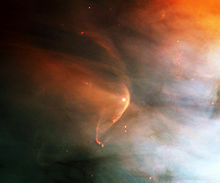 ^ Spitzer 1978, p. 28–30. ^ Chiaki, Yanagisawa (June 2014), "Looking for Cosmic Neutrino Background", Frontiers in Physics, 2: 30, Bibcode:2014FrP.....2...30Y, doi:10.3389/fphy.2014.00030. ^ Fixsen, D. J. (December 2009), "The Temperature of the Cosmic Microwave Background", The Astrophysical Journal, 707 (2): 916–920, arXiv:0911.1955, Bibcode:2009ApJ...707..916F, doi:10.1088/0004-637X/707/2/916. ^ Withbroe, George L. (February 1988), "The temperature structure, mass, and energy flow in the corona and inner solar wind", Astrophysical Journal, Part 1, 325: 442–467, Bibcode:1988ApJ...325..442W, doi:10.1086/166015. ^ Wielebinski, Richard; Beck, Rainer (2010), "Cosmic Magnetic Fields − An Overview", in Block, David L.; Freeman, Kenneth C.; Puerari, Ivânio, Galaxies and their Masks: A Conference in Honour of K.C. Freeman, FRS, Springer Science & Business Media, pp. 67–82, Bibcode:2010gama.conf...67W, doi:10.1007/978-1-4419-7317-7_5, ISBN 978-1441973177, archived from the original on 2017-09-20. ^ Letessier-Selvon, Antoine; Stanev, Todor (July 2011), "Ultrahigh energy cosmic rays", Reviews of Modern Physics, 83 (3): 907–942, arXiv:1103.0031, Bibcode:2011RvMP...83..907L, doi:10.1103/RevModPhys.83.907. ^ Lang 1999, p. 462. ^ Lide 1993, p. 11-217. 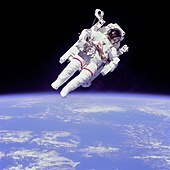 ^ What Does Space Smell Like?, Live Science, July 20, 2012, archived from the original on February 28, 2014, retrieved February 19, 2014. ^ Lizzie Schiffman (July 17, 2013), What Does Space Smell Like, Popular Science, archived from the original on February 24, 2014, retrieved February 19, 2014. ^ Raggio, J.; et al. (May 2011), "Whole Lichen Thalli Survive Exposure to Space Conditions: Results of Lithopanspermia Experiment with Aspicilia fruticulosa", Astrobiology, 11 (4): 281–292, Bibcode:2011AsBio..11..281R, doi:10.1089/ast.2010.0588, PMID 21545267. ^ Tepfer, David; et al. (May 2012), "Survival of Plant Seeds, Their UV Screens, and nptII DNA for 18 Months Outside the International Space Station" (PDF), Astrobiology, 12 (5): 517–528, Bibcode:2012AsBio..12..517T, doi:10.1089/ast.2011.0744, PMID 22680697, archived (PDF) from the original on 2014-12-13, retrieved 2013-05-19. ^ Wassmann, Marko; et al. (May 2012), "Survival of Spores of the UV-ResistantBacillus subtilis Strain MW01 After Exposure to Low-Earth Orbit and Simulated Martian Conditions: Data from the Space Experiment ADAPT on EXPOSE-E", Astrobiology, 12 (5): 498–507, Bibcode:2012AsBio..12..498W, doi:10.1089/ast.2011.0772, PMID 22680695. ^ Nicholson, W. L. (April 2010), "Towards a General Theory of Lithopanspermia", Astrobiology Science Conference 2010, 1538, pp. 5272–528, Bibcode:2010LPICo1538.5272N. ^ Piantadosi 2003, pp. 188–189. ^ a b Bolonkin, Alexander (2009), "Man in Outer Space Without a Special Space Suit", American Journal of Engineering and Applied Sciences, 2 (4): 573–579, doi:10.3844/ajeassp.2009.573.579, archived from the original on 2017-08-29, retrieved 2011-12-15. ^ Krebs, Matthew B.; Pilmanis, Andrew A. (November 1996), Human pulmonary tolerance to dynamic over-pressure, United States Air Force Armstrong Laboratory, archived from the original on 2012-11-30, retrieved 2011-12-23. ^ Harding, R. M.; Mills, F. J. (April 30, 1983), "Aviation medicine. Problems of altitude I: hypoxia and hyperventilation", British Medical Journal, 286 (6375): 1408–1410, doi:10.1136/bmj.286.6375.1408, PMC 1547870. 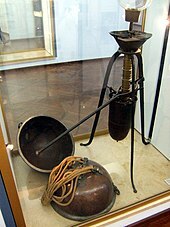 ^ Hodkinson, P. D. (March 2011), "Acute exposure to altitude" (PDF), Journal of the Royal Army Medical Corps, 157 (1): 85–91, doi:10.1136/jramc-157-01-15, PMID 21465917, archived from the original (PDF) on 2012-02-20, retrieved 2011-12-16. ^ Billings 1973, pp. 1–34. ^ Landis, Geoffrey A. (August 7, 2007), Human Exposure to Vacuum, www.geoffreylandis.com, archived from the original on July 21, 2009, retrieved 2009-06-19. ^ Webb, P. (1968), "The Space Activity Suit: An Elastic Leotard for Extravehicular Activity", Aerospace Medicine, 39 (4): 376–383, PMID 4872696. ^ Ellery 2000, p. 68. ^ Davis, Johnson & Stepanek 2008, pp. 270–271. ^ Kanas, Nick; Manzey, Dietrich (2008), "Basic Issues of Human Adaptation to Space Flight", Space Psychology and Psychiatry, Space Technology Library, 22: 15–48, Bibcode:2008spp..book.....K, doi:10.1007/978-1-4020-6770-9_2, ISBN 978-1-4020-6769-3. ^ Williams, David; et al. (June 23, 2009), "Acclimation during space flight: effects on human physiology", Canadian Medical Association Journal, 180 (13): 1317–1323, doi:10.1503/cmaj.090628, PMC 2696527, PMID 19509005. ^ Kennedy, Ann R., Radiation Effects, National Space Biological Research Institute, archived from the original on 2012-01-03, retrieved 2011-12-16. ^ Setlow, Richard B. (November 2003), "The hazards of space travel", Science and Society, 4 (11): 1013–1016, doi:10.1038/sj.embor.7400016, PMC 1326386, PMID 14593437. ^ Michael Coren (July 14, 2004), "Private craft soars into space, history", CNN.com, archived from the original on April 2, 2015. ^ Wong & Fergusson 2010, p. 16. ^ Petty, John Ira (February 13, 2003), "Entry", Human Spaceflight, NASA, archived from the original on October 27, 2011, retrieved 2011-12-16. ^ Thompson, Andrea (April 9, 2009), Edge of Space Found, space.com, archived from the original on July 14, 2009, retrieved 2009-06-19. ^ Sangalli, L.; et al. 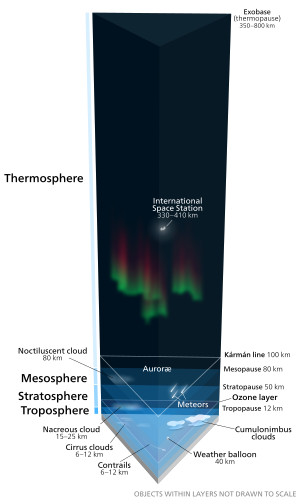 (2009), "Rocket-based measurements of ion velocity, neutral wind, and electric field in the collisional transition region of the auroral ionosphere", Journal of Geophysical Research, 114 (A4): A04306, Bibcode:2009JGRA..114.4306S, doi:10.1029/2008JA013757. ^ Status of International Agreements relating to activities in outer space as of 1 January 2017 (PDF), United Nations Office for Outer Space Affairs/ Committee on the Peaceful Uses of Outer Space, March 23, 2017, archived from the original (PDF) on March 22, 2018, retrieved 2018-03-22. ^ Treaty on Principles Governing the Activities of States in the Exploration and Use of Outer Space, including the Moon and Other Celestial Bodies, United Nations Office for Outer Space Affairs, January 1, 2008, archived from the original on February 22, 2011, retrieved 2009-12-30. ^ Index of Online General Assembly Resolutions Relating to Outer Space, United Nations Office for Outer Space Affairs, 2011, archived from the original on 2010-01-15, retrieved 2009-12-30. ^ Wong & Fergusson 2010, p. 4. ^ Solanki, Lalit (2019-03-27). "India Enters the Elite Club: Successfully Shot Down Low Orbit Satellite". The Mirk. Retrieved 2019-03-28. ^ Columbus launch puts space law to the test, European Science Foundation, November 5, 2007, archived from the original on December 15, 2008, retrieved 2009-12-30. 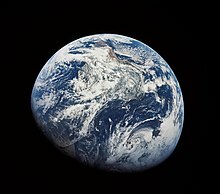 ^ Representatives of the States traversed by the Equator (December 3, 1976), "Declaration of the first meeting of equatorial countries", Space Law, Bogota, Republic of Colombia: JAXA, archived from the original on November 24, 2011, retrieved 2011-10-14. ^ Gangale, Thomas (2006), "Who Owns the Geostationary Orbit? ", Annals of Air and Space Law, 31, archived from the original on 2011-09-27, retrieved 2011-10-14. ^ Hill, James V. H. (April 1999), "Getting to Low Earth Orbit", Space Future, archived from the original on 2012-03-19, retrieved 2012-03-18. ^ Shiner, Linda (November 1, 2007), X-15 Walkaround, Air & Space Magazine, retrieved 2009-06-19. ^ Dimotakis, P.; et al. (October 1999), 100 lbs to Low Earth Orbit (LEO): Small-Payload Launch Options, The Mitre Corporation, pp. 1–39, archived from the original on 2017-08-29, retrieved 2012-01-21. ^ Ghosh 2000, pp. 47–48. ^ a b Kennewell, John; McDonald, Andrew (2011), Satellite Lifetimes and Solar Activity, Commonwealth of Australia Bureau of Weather, Space Weather Branch, archived from the original on 2011-12-28, retrieved 2011-12-31. ^ Williams, David R. (November 17, 2010), "Earth Fact Sheet", Lunar & Planetary Science, NASA, archived from the original on October 30, 2010, retrieved 2012-05-10. ^ a b Schrijver & Siscoe 2010, p. 363. ^ a b Abby Cessna (July 5, 2009), "Interplanetary space", Universe Today, archived from the original on March 19, 2015. ^ a b Jia-Rui Cook (September 12, 2013), "How do we know when Voyager reaches interstellar space? ", JPL News, 2013-278, archived from the original on September 15, 2013. ^ Kintner, Paul; GMDT Committee and Staff (September 2002), Report of the Living With a Star Geospace Mission Definition Team (PDF), NASA, archived (PDF) from the original on 2012-11-02, retrieved 2012-04-15. ^ Fichtner & Liu 2011, pp. 341–345. ^ Koskinen 2010, pp. 32, 42. ^ Mendillo 2000, p. 275. ^ Goodman, John M. (2006). Space Weather & Telecommunications. Springer Science & Business Media. p. 244. ISBN 978-0-387-23671-1. ^ "Geomagnetic Storms" (PDF), OECD/IFP Futures Project on "Future Global Shocks", CENTRA Technology, Inc., pp. 1–69, January 14, 2011, archived (PDF) from the original on March 14, 2012, retrieved 2012-04-07. ^ Portree, David; Loftus, Joseph (1999), Orbital Debris: A Chronology (PDF), NASA, p. 13, archived from the original (PDF) on 2000-09-01, retrieved 2012-05-05. ^ Strickland, John K. (October 1, 2012). "The cislunar gateway with no gate". The Space Review. Archived from the original on February 7, 2016. Retrieved 2016-02-10. ^ Yoder, Charles F. (1995), "Astrometric and Geodetic Properties of Earth and the Solar System", in Ahrens, Thomas J., Global earth physics a handbook of physical constants (PDF), AGU reference shelf Series, 1, Washington, DC: American Geophysical Union, p. 1, Bibcode:1995geph.conf....1Y, ISBN 978-0-87590-851-9, archived from the original (PDF) on April 26, 2012, retrieved 2011-12-31. . This work lists a Hill sphere radius of 234.9 times the mean radius of Earth, or 234.9 × 6,371 km = 1.5 million km. ^ Barbieri 2006, p. 253. ^ Dickson 2010, p. 57. ^ United States, p. 536. ^ Williamson 2006, p. 97. ^ "Definition of 'deep space'", Collins English Dictionary, retrieved 2018-01-15. ^ "ITU-R Radio Regulations, Article 1, Terms and definitions, Section VIII, Technical terms relating to space, paragraph 1.177" (PDF). International Telecommunication Union. Retrieved 2018-02-05. ^ a b Papagiannis 1972, pp. 12–149. ^ Phillips, Tony (2009-09-29), Cosmic Rays Hit Space Age High, NASA, archived from the original on 2009-10-14, retrieved 2009-10-20. ^ Kohler, Susanna (December 1, 2017), "A Shifting Shield Provides Protection Against Cosmic Rays", Nova, American Astronomical Society, retrieved 2019-01-31. ^ NASA (12 March 2019). "What scientists found after sifting through dust in the solar system". EurekAlert!. Retrieved 12 March 2019. ^ Flynn, G. J.; et al. (2003), "The Origin of Organic Matter in the Solar System: Evidence from the Interplanetary Dust Particles", in Norris, R.; Stootman, F., Bioastronomy 2002: Life Among the Stars, Proceedings of IAU Symposium No. 213, 213, p. 275, Bibcode:2004IAUS..213..275F. 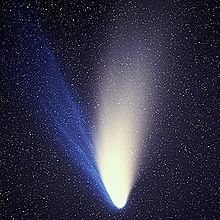 ^ Leinert, C.; Grun, E. (1990), "Interplanetary Dust", Physics of the Inner Heliosphere I: 207, Bibcode:1990pihl.book..207L. ^ Johnson, R. E. (August 1994), "Plasma-Induced Sputtering of an Atmosphere", Space Science Reviews, 69 (3–4): 215–253, Bibcode:1994SSRv...69..215J, doi:10.1007/BF02101697. ^ a b Ferrière, Katia M. (2001), "The interstellar environment of our galaxy", Reviews of Modern Physics, 73 (4): 1031–1066, arXiv:astro-ph/0106359, Bibcode:2001RvMP...73.1031F, doi:10.1103/RevModPhys.73.1031. ^ Witt, Adolf N. (October 2001), "The Chemical Composition of the Interstellar Medium", Philosophical Transactions of the Royal Society A: Mathematical, Physical and Engineering Sciences – Origin and early evolution of solid matter in the Solar System, 359 (1787), p. 1949, Bibcode:2001RSPTA.359.1949W, doi:10.1098/rsta.2001.0889. ^ Boulares, Ahmed; Cox, Donald P. (December 1990), "Galactic hydrostatic equilibrium with magnetic tension and cosmic-ray diffusion", Astrophysical Journal, Part 1, 365: 544–558, Bibcode:1990ApJ...365..544B, doi:10.1086/169509. ^ Rauchfuss 2008, pp. 72–81. ^ Klemperer, William (August 15, 2006), "Interstellar chemistry", Proceedings of the National Academy of Sciences of the United States of America, 103 (33): 12232–12234, Bibcode:2006PNAS..10312232K, doi:10.1073/pnas.0605352103, PMC 1567863, PMID 16894148. ^ Redfield, S. (September 2006), "The Local Interstellar Medium", New Horizons in Astronomy; Proceedings of the Conference Held 16–18 October 2005 at The University of Texas, Austin, Texas, USA, Frank N. Bash Symposium ASP Conference Series, 352, p. 79, arXiv:astro-ph/0601117, Bibcode:2006ASPC..352...79R. ^ McComas, D. J.; et al. (2012), "The Heliosphere's Interstellar Interaction: No Bow Shock", Science, 336 (6086): 1291–3, Bibcode:2012Sci...336.1291M, doi:10.1126/science.1221054, PMID 22582011. ^ a b Fox, Karen C. (May 10, 2012), NASA – IBEX Reveals a Missing Boundary at the Edge of the Solar System, NASA, archived from the original on May 12, 2012, retrieved 2012-05-14. ^ Wszolek 2013, p. 67. ^ Jafelice, Luiz C.; Opher, Reuven (July 1992), "The origin of intergalactic magnetic fields due to extragalactic jets", Monthly Notices of the Royal Astronomical Society, 257 (1): 135–151, Bibcode:1992MNRAS.257..135J, doi:10.1093/mnras/257.1.135. ^ Wadsley, James W.; et al. (August 20, 2002), "The Universe in Hot Gas", Astronomy Picture of the Day, NASA, archived from the original on June 9, 2009, retrieved 2009-06-19. ^ a b Fang, T.; et al. (2010), "Confirmation of X-Ray Absorption by Warm-Hot Intergalactic Medium in the Sculptor Wall", The Astrophysical Journal, 714 (2): 1715, arXiv:1001.3692, Bibcode:2010ApJ...714.1715F, doi:10.1088/0004-637X/714/2/1715. ^ Bykov, A. M.; Paerels, F. B. S.; Petrosian, V. (February 2008), "Equilibration Processes in the Warm-Hot Intergalactic Medium", Space Science Reviews, 134 (1–4): 141–153, arXiv:0801.1008, Bibcode:2008SSRv..134..141B, doi:10.1007/s11214-008-9309-4. ^ Wakker, B. P.; Savage, B. D. (2009), "The Relationship Between Intergalactic H I/O VI and Nearby (z<0.017) Galaxies", The Astrophysical Journal Supplement Series, 182 (1): 378, arXiv:0903.2259, Bibcode:2009ApJS..182..378W, doi:10.1088/0067-0049/182/1/378. ^ Mathiesen, B. F.; Evrard, A. E. (2001), "Four Measures of the Intracluster Medium Temperature and Their Relation to a Cluster's Dynamical State", The Astrophysical Journal, 546 (1): 100, arXiv:astro-ph/0004309, Bibcode:2001ApJ...546..100M, doi:10.1086/318249. ^ Pfotzer, G. (June 1972), "History of the Use of Balloons in Scientific Experiments", Space Science Reviews, 13 (2): 199–242, Bibcode:1972SSRv...13..199P, doi:10.1007/BF00175313. ^ O'Leary 2009, pp. 209–224. ^ Harrison 2002, pp. 60–63. ^ Hardesty, Eisman & Krushchev 2008, pp. 89–90. ^ Collins 2007, p. 86. ^ Harris 2008, pp. 7, 68–69. ^ Wall, Mike (September 12, 2013), "Voyager 1 Has Left Solar System", Web, Space.com, archived from the original on 14 September 2013, retrieved 13 September 2013. ^ Harrington, J.D. ; Villard, Ray; Weaver, Donna (12 December 2012), NASA's Hubble Provides First Census of Galaxies Near Cosmic Dawn, NASA, 12-428, archived from the original on 22 March 2015. ^ Landgraf, M.; et al. (February 2001), "IRSI/Darwin: peering through the interplanetary dust cloud", ESA Bulletin, 105 (105): 60–63, arXiv:astro-ph/0103288, Bibcode:2001ESABu.105...60L. ^ Maccone, Claudio (August 2001), "Searching for bioastronomical signals from the farside of the Moon", in Ehrenfreund, P.; Angerer, O.; Battrick, B., Exo-/astro-biology. Proceedings of the First European Workshop, 496, Noordwijk: ESA Publications Division, pp. 277–280, Bibcode:2001ESASP.496..277M, ISBN 978-92-9092-806-5. ^ Razani 2012, pp. 97–99. ^ Chapmann, Glenn (May 22–27, 1991), "Space: the Ideal Place to Manufacture Microchips", in Blackledge, R.; Radfield, C.; Seida, S., Proceedings of the 10th International Space Development Conference (PDF), San Antonio, Texas, pp. 25–33, archived from the original (PDF) on 2011-07-06, retrieved 2010-01-12. ^ Forgan, Duncan H.; Elvis, Martin (October 2011), "Extrasolar asteroid mining as forensic evidence for extraterrestrial intelligence", International Journal of Astrobiology, 10 (4): 307–313, arXiv:1103.5369, Bibcode:2011IJAsB..10..307F, doi:10.1017/S1473550411000127. ^ Burton, Rodney; Brown, Kevin; Jacobi, Anthony (May 2005), "Low-Cost Launch of Payloads to Low Earth Orbit", Journal of Spacecraft and Rockets, 43 (3): 696–698, Bibcode:2006JSpRo..43..696B, doi:10.2514/1.16244. ^ Bolonkin 2010, p. xv. ^ Crawford, I. A. (September 1990), "Interstellar Travel: A Review for Astronomers", Quarterly Journal of the Royal Astronomical Society, 31: 377–400, Bibcode:1990QJRAS..31..377C. Borowitz, Sidney; Beiser, Arthur (1971), Essentials of physics: a text for students of science and engineering, Addison-Wesley series in physics (2nd ed. ), Addison-Wesley Publishing Company Note: this source gives a value of 2.7 × 1025 molecules per cubic meter. Davies, P. C. W. (1977), The physics of time asymmetry, University of California Press, ISBN 978-0-520-03247-7 Note: a light year is about 1013 km. Dickson, Paul (2010), A Dictionary of the Space Age, New Series in NASA History, JHU Press, ISBN 978-0801895043. Kelly, Suzanne (1965), The de muno of William Gilbert, Amsterdam: Menno Hertzberger & Co.
Stuart Wortley, Emmeline Charlotte E. (1841), The maiden of Moscow, a poem, How and Parsons, Canto X, section XIV, lines 14–15, All Earth in madness moved,—o'erthrown, / To outer space—driven—racked—undone!